Jamie here to share a birthday card with you! 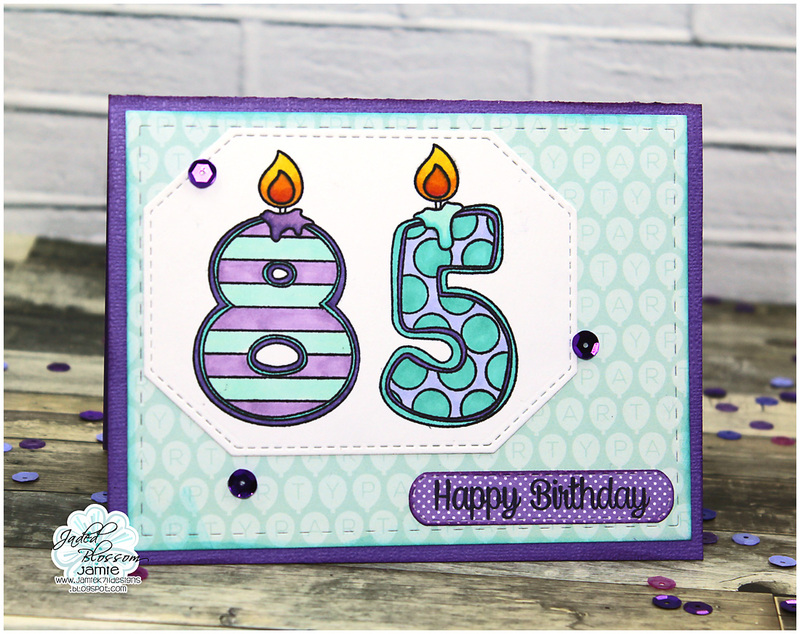 I started with the Card Mat Die and added Candle Numbers 2 to a Octagon Dies. I used some Copics to color in the candles. Then I stamped a sentiment from So Many Birthdays to a Mini Tag Dies 2. Cute I love the number stamps some of my favorite! !